With the clang of bells and the clatter of hooves on brick -- that's how firefighting began in Albany's Pine Hills neighborhood. 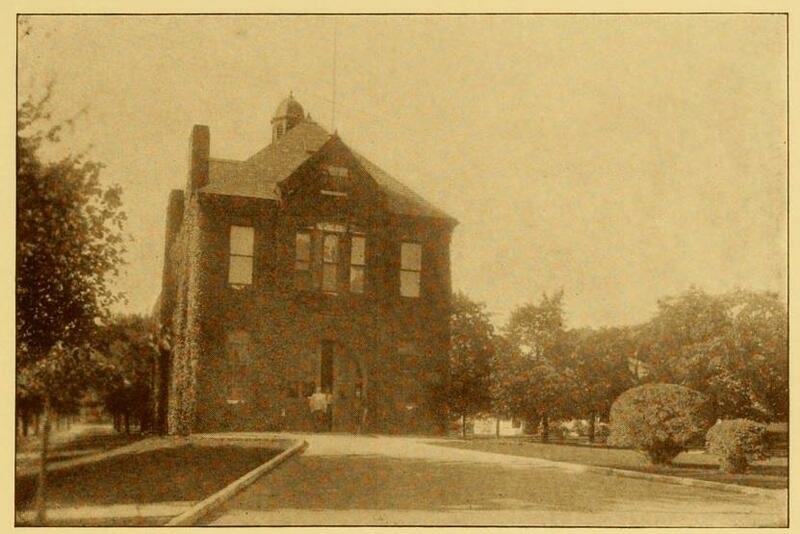 The Steamer 10 firehouse, as seen in a 1912 Chamber of Commerce booklet. The Steamer 10 firehouse, along West Lawrence Street on the point of land where Madison and Western avenues meet, started with a steam-powered engine pulled by a pair of horses. When a call came in, a 24-foot brass sliding pole gave the firemen a running start. Then they rushed to hitch up their teams and get out to meet the danger. They were helped by an apparatus called a quick-hitch harness, which can be seen hanging from the ceiling in the picture below. Steam engine and quick-hitch harness inside the Steamer 10 firehouse. During an 1897 firehouse inspection by Mayor John Boyd Thacher, the boys at Steamer 10 hitched up their horses in 5.25 seconds. Once hitched, they were off, picking up speed as they bolted down the sloped brick driveway and onto West Lawrence Street. A Pine Hills fire station was needed by the 1890s, as public transportation allowed people to live farther from their workplaces and families looked to move out of the crowded city center. Designed by prominent Albany architect Albert Fuller, the Steamer 10 firehouse became part of the Albany Fire Department in September of 1892. 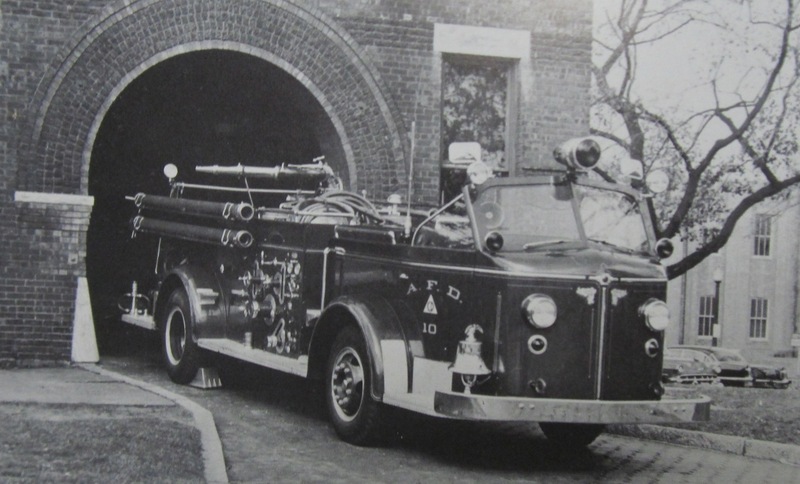 Steamer 10 became Engine 10 with the switch to motorized trucks in the teens. The last of the Albany Fire Department's horses retired in 1921. As growth continued in the 1920s, Pine Hills neighborhood groups pressed the city to install a police presence in the area. At that time, patrols of the Pine Hills were done by members of the 4th Precinct, headquartered on Madison below Lark Street. In 1928, the 6th Precinct station house, constructed on the back side of the Steamer 10 firehouse, opened with a captain, four sergeants and 28 patrolmen. For most of the twentieth century, firefighters and police officers both answered the call from their Pine Hills station houses. Then, in 1988, Engine 10 moved west, to Brevator Street at Washington Avenue. City officials made plans to convert the old firehouse into a neighborhood library. But renovation costs were prohibitive, and parking would have been a problem -- a plan was even advanced to close West Lawrence Street between Madison and Western and turn it into a parking lot. Instead, the city purchased the former New York Telephone Co. building on Western Avenue, across the street from the firehouse, for use as the Pine Hills branch library. The question remained: What to do with the firehouse? City officials offered it to The College of Saint Rose for use as an arts center, but they didn't bite. Someone else, however, did come forward with a plan for the old Steamer 10. Ric Chesser was executive director of Washington Park Theatre Inc., a dramatics arts group that had played in spaces around Albany since the mid-1970s. He felt there was a market for children's theatre in Albany, and had seen first-hand what a great tool live performances could be for reaching young audiences. After extensive renovations, Steamer 10 Theatre opened in 1991. Today, the not-for-profit theatre offers upwards of 150 performances per year to children and their families, as well as arts education programs for kids and shows geared to adults. An ongoing construction project will add a lobby to the theatre, building on the firehouse's form to suggest a fairy-tale castle with a drawbridge. Steamer 10's firefighters might have moved out in the late '80s, but the police stayed put. The 6th Precinct is now called Center Station, one of the two geographic divisions in the modern Albany Police Department. 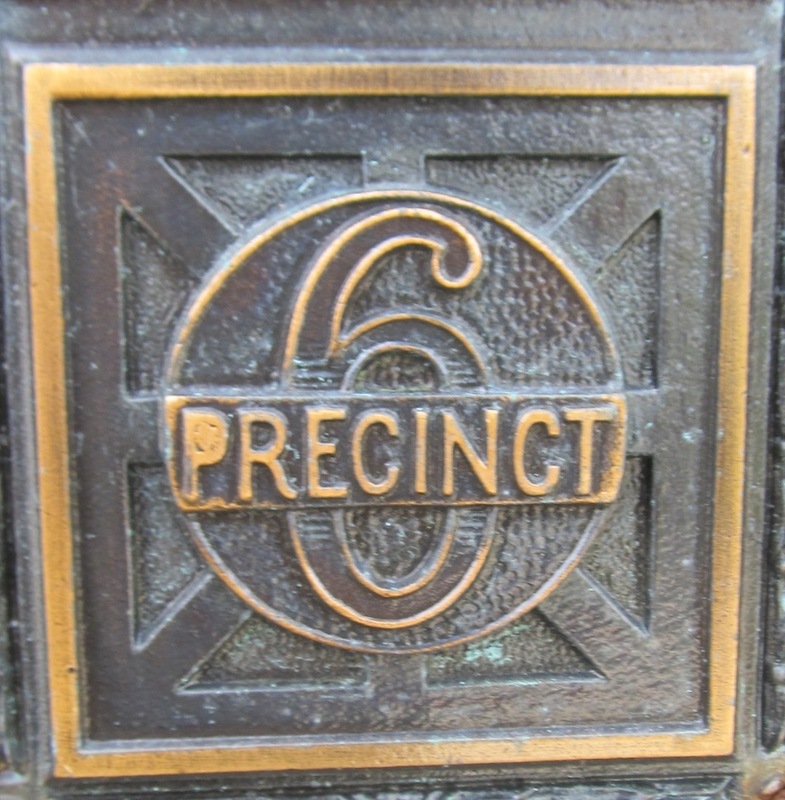 The building hasn't changed all that much; the original front doors feature the 6th Precinct logo, and the station still has its original cellblock area, though the cells are now used for storage.